As I mentioned in my last post, the avalanche conditions are extremely tender right now in the San Juans. Our snow pits revealed 2-3 feet of recent snow clinging precariously to 2-3 feet of rotten sugar snow – the worst winter avalanche ingredients possible. There is widespread “whoomphing” and shooting cracks. We took a conservative descent route, practiced our best safety protocol on the way down, and managed to stay out of trouble. Here’s a picture of a slab avalanche in the gully on our way out (it had already slid naturally before we got there). In conditions this bad, any steep slope, not matter how short, has the potential to bury a person. We skied out of there on pins and needles, feeling that perhaps it’s not the time to be out in the backcountry at all, no matter how fluffy and tempting that powder is. The snowpack is so fundamentally screwed that I can’t imagine the conditions improving anytime soon. It may be months before we can ride steeper lines again – maybe not until spring. The good news is that I’ll get a lot of work done this winter! 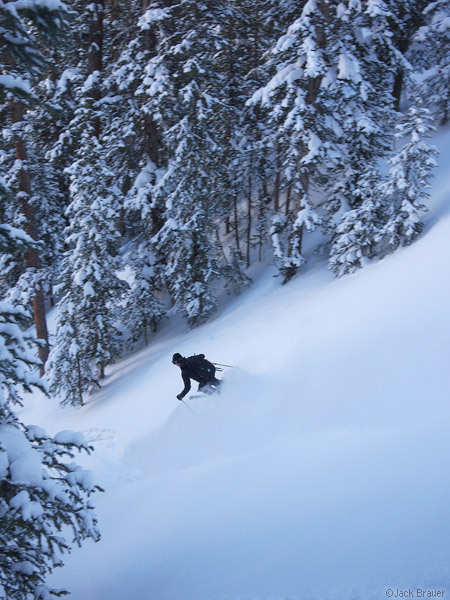 Posted in Colorado, Skiing/Snowboarding and tagged Colorado, San Juans on January 28, 2012 May 19, 2013 by Jack Brauer. Yeah up here in Montana, same deal. Snowpack is fucked everywhere. Its a good year to learn how to skate ski. I love your site, check it pretty regularly. 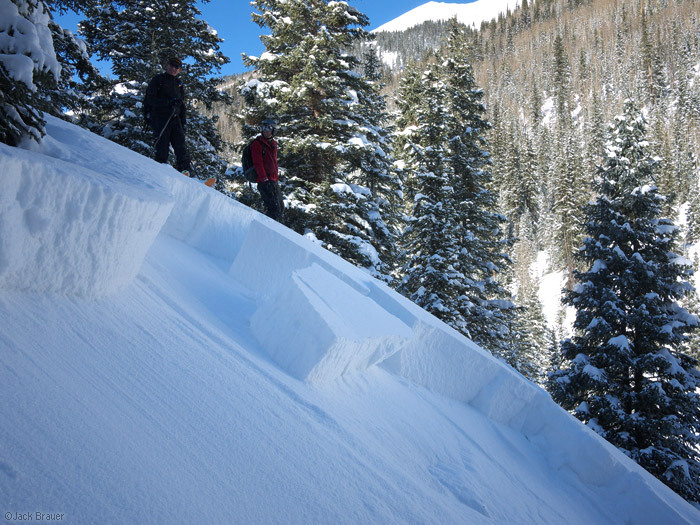 Another recent CO avalanche vid… WOAH!!!! Original link and more info on GrindTV. Hey Jack! Austria…mid April. Oztal Alps, wanna come? Should be fun!! Hope you’re doing well. It’s been a while and I lost your email. I am staying out of the backcountry right now for sure…Unfortunately. But hopefully we can get together for some lines in the spring.. But yes…Austria. Oh man! Those snow blocks are freaky!